Launching of Aeolus from Arianespace’s Spaceport in Kourou, French Guiana. Credit: © Arianespace. Arianespace has launched Aeolus, a wind-monitoring satellite, from the Spaceport’s Vega Launch Complex in Kourou, French Guiana. 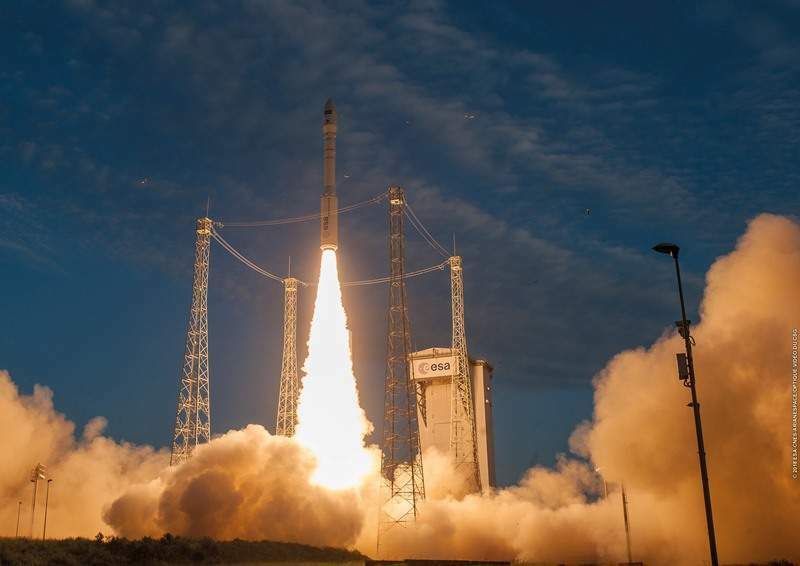 Around 55 minutes after liftoff, the satellite, which was built by Airbus Defence and Space, was placed into a Sun-synchronous orbit by Arianespace’s Vega rocket. The European Space Agency (ESA) will operate the Aeolus satellite, the launch of which was delayed by 24 hours due to winds at altitude over the Spaceport. ESA director general Jan Wörner said: “Aeolus epitomises the essence of an Earth Explorer. Aeolus forms part of ESA’s Earth Explorer fleet of satellites. The 1360kg satellite is equipped with a laser Doppler wind Light Detection and Ranging (LIDAR) system called Aladin that will monitor the lowermost 30km of the atmosphere in measuring winds around the Earth. Aeolus is developed to provide insight on how the wind influences the exchange of heat and moisture between the Earth’s surface and the atmosphere, which ultimately help understand important aspects of climate change. ESA Earth Observation Programmes director Josef Aschbacher said: “Aeolus carries the first instrument of its kind and uses a completely new approach to measuring the wind from space. ESA’s European Space Operations Centre in Darmstadt, Germany is controlling the satellite.